Nick is a World Champion face and body painter. He is considered an expert in his genre, and is sought after all over the world for events and workshops. He has authored several face painting books and is a featured artist on FABA TV. Ronnie began his face painting career six years ago at Universal Studios. It was there that he was able to hone his skills and create his own unique style. In 2014 Ronnie was invited to teach at the Face and Body Art International Convention, FABA TV and The Face Painting Shop in the UK. He has also been published in several international makeup magazines including Illusion, DUPE, and Pintamos. Ronnie continues to paint with his team of artists at various events all over Los Angeles. "I got involved in face painting originally through my church. While on line, I stumbled upon Mark Reid's website. I was hooked when I saw all those intense colors and what he did with them! I pretty much just jumped in with two feet and began painting professionally soon after. I started Face Fancies Face Painting and have now been painting almost three and a half years. My passions are florals and bright colors.....oh, and jewels. And glitter! My current interests in painting is in the Art Nouveau style which I hope to explore. Also in other areas of art, I enjoy sharing and teaching when time permits." "I am a make up artist and body painter. Originally from Melbourne, Australia I moved to the USA 12 Years ago. I do all genres of make up from Fashion and Beauty to Theatre to Advanced Prosthetics and Effects all the way to Body painting. I love making people's mouths drop with my craft and strive for everything I do to be the best thing I have done (does not always work out that way though). I moved to Salt Lake City 2 years ago and since then have been focusing mainly on establishing a body paint industry here. I own and operate Toxic Image Studios, a full service make up and training facility." Jay Bautista has been in the face and body painting industry for 11 years now. He started at Disney and Universal Studios working for Enjoy Your Face Inc., the world's largest face painting company. Within a year he had a booth at a local attraction in Orlando as well as six more booths set up at all the major night clubs. Jay has done an array of gigs including Fantasy Fest in Key West, The White Party in Miami, and most recently the Face and Body Art International Convention as an instructor. The Orlando Museum of Art has invited him to do live gallery paintings for multiple events. 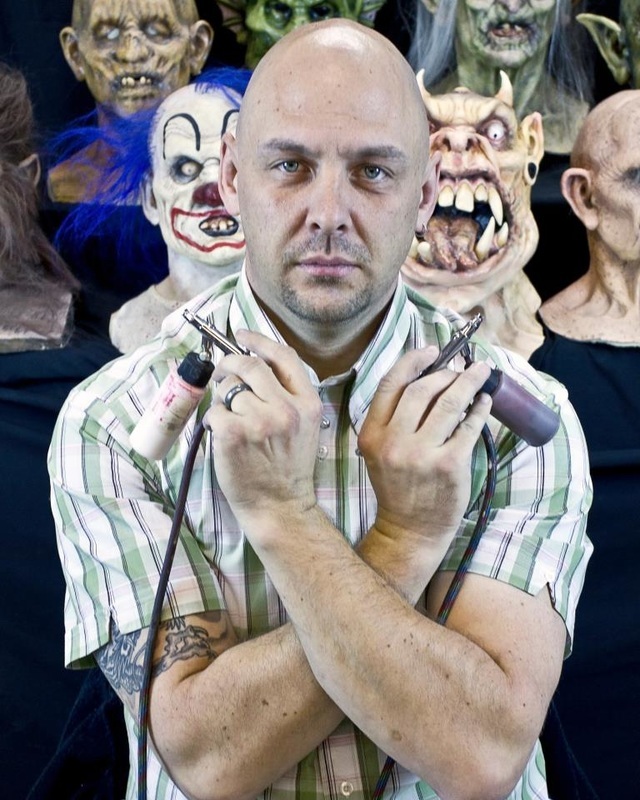 Currently, Jay can be seen on FABA Tv.com as an online instructor for the face and body art community. A children's’ entertainer specializing in clowning and face painting, Marcela is also an author, speaker, instructor, and former publisher of Face and Body Art International Magazine, as well as the producer of the Face and Body Art International Convention. She is nationally recognized as one of the premier face painters in the country and has been influential in revolutionizing this art form. Marcela has published many books on the subject of clowning and face painting including her acclaimed series of face painting books featuring variations of one design per book. I'm a full time face and body artist and I also do special effects make up for video and films. Currently I’m also the artistic director for a multi-attraction haunt. I specialize in illustrative cheek and mural style body art with brush and sponge, as well as 3d transformations. I painted my first face in October of 2005 and started our business the following year. My wife volunteered me to fill in temporarily for a face painter that quit last minute at a local pumpkin patch. I was hooked after the first day. The most enjoyable part of what I do is free creating requests out of my head. No display, just an off the wall idea and a spark of inspiration." with a human being as your canvas the phrase takes a whole new turn. My artwork comes alive on canvas that is alive. My art lives and breathes…literally. How many artists can truly say that?"